Die 33. Version der traditionellen Nittardi-Künstleretiketten stammt von Alain Clement. 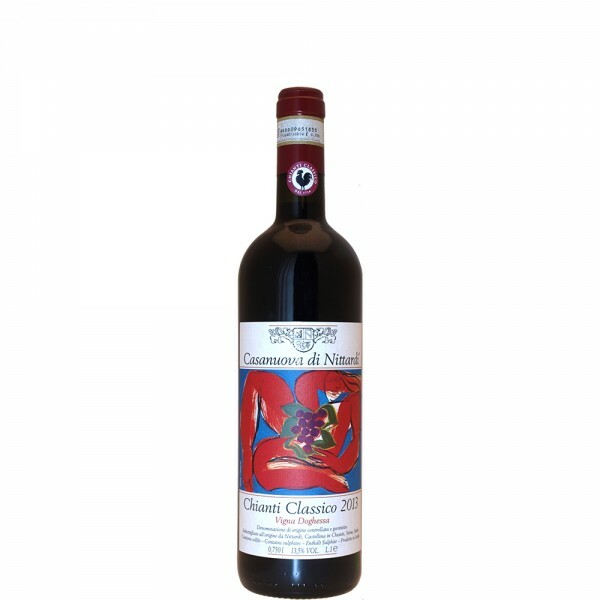 "Fresh ripe red and dark berry nose with some animal notes. Bright red fruit forms a lush sour cherry and plum core on the palate with fine tannins, precise acidity and a very clean finish. " "Aromas of leafy underbrush, toast, grilled herb and dark-skinned berry emerge on this elegant red. The fresh, polished palate doles out juicy wild cherry, licorice, clove and a hint of toasted oak alongside fine-grained tannins."